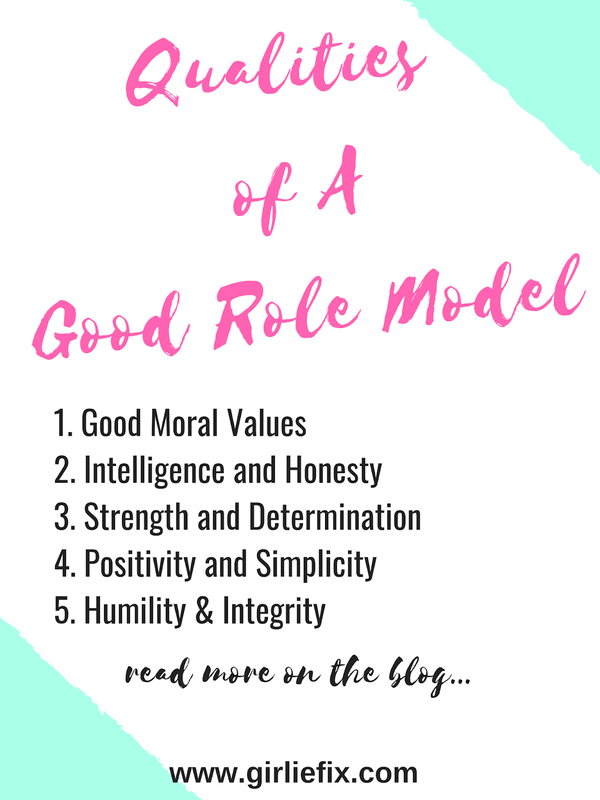 What really is a role model? A role model is any individual whose behavior, lifestyle, or success story is emulated by others, especially by the younger people. A role model can also be defined as someone whom you aspire to be like, either in the present or in the future. They are people whom you admire, and people you look up to for motivation. They can have a huge influence in your life. Every one of us needs role models to inspire and motivate us to be better people in life. They are important as they serve as a guide through the stage of developing into who we really want to be. Our role models play a very important role in shaping our dreams and ambitions. They play an essential role for your positive growth and development. As a girl, if you want to grow emotionally or mentally resilient, you would need to have some strong and successful examples around. So why not push the Kardashians aside, and focus more on inspirational women who are the real super heroes and would make better role models? Why is it better for a girl to have female role model than a male role model? Males can certainly serve as good role models too; but there is a greater value in same-gender role modeling. Who can be your role model? Your role model can be your parent, a celebrity, your teacher/lecturer, an athlete, a public figure, educator, a family member, community leaders, coaches, religious leaders or even a confident peer. Find a role model who exemplifies an area which you have interest or where you need development. Most people chose their role models based on their career choice, for instance, an upcoming/aspiring tennis player may have Serena Williams or another successful tennis player as a role model. A role model can be negative or positive. We are exposed to various people every day; both the negative and positive ones. It is your own decision to choose whose behavior you wish to emulate. Your chosen role model would definitely have a considerable impact on your choices and way of life. Your role model must have a positive impact on your life, and should be inspiring you to live a meaningful life. A girl’s choice of role models affects how she views her own potentials. Every girl needs to see confidence and accomplishment in her role model. 1. Good moral values. She must be able to behave in an ethically and morally acceptable manner. 5. Humility: She shouldn’t be a proud person, she should be humble. That thing called “fame” has gotten into the heads of many popular people as we’ve seen, and removed humility from their lives. A good role model must be humble no matter how famous or popular she is. 6. She should be ambitious and success-driven in her field. This would serve as a good source of inspiration to you whose life ambition is similar to hers. 7. She should be Responsible and Hardworking. She should have a never-give-up attitude. Can your role model be your mentor or vice-versa? Yes. 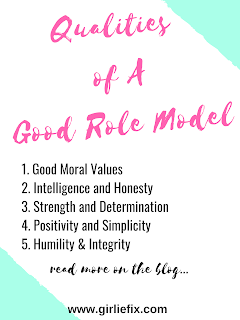 A role model may be someone who you know and interact with on a regular basis, or may be someone who you’ve never met, such as a public figure. Oprah Winfrey was born in the rural town of Kosciusko, Mississippi on January 29, 1954. She was raped for the first time at age 9 by her 19-year-old cousin. After a troubled adolescence in a small farming community, where she was sexually abused by a number of male relatives and friends of her mother, she moved to Nashville to live with her father, a barber and businessman, and that was where here success started to take course. It was at East Nashville High where she discovered her passion for media. She secured a full scholarship to Tennessee State University in 1971 and began working in radio and television broadcasting in Nashville. In 1976, Oprah Winfrey moved to Baltimore, Maryland, where she hosted the TV chat show ‘People Are Talking’. The show became a hit and she stayed with it for 8 years, after which she was recruited by a Chicago TV station to host her own morning show, A.M. Chicago. Within several months, Winfrey’s open, warm hearted personal style had won her 100,000 more views than her major competitor, Phil Donahue and had taken her show from last place to first in the ratings. Her success led to nationwide fame and a role in a 1985 film, The Color Purple, for which she was nominated for an Academy Award for Best Supporting Actress. Oprah Winfrey also launched The Oprah Winfrey Show in 1986 as a nationally syndicated program. The show grossed $125 million by the end of its first year. She soon earned the respect of her viewers and was soon rewarded with an upsurge in popularity. The media giant contributed immensely to the publishing world by launching her “Oprah’s Book Club,” as part of her talk show. She later moved to her own network, the Oprah Winfrey Network (OWN) in 2011. According to Forbes magazine, Oprah was the richest African American of the 20th century and the world’s only Black billionaire for three years running. Life magazine hailed her as the most influential woman of her generation. In 2005, Business Week names her the greatest black philanthropist in American history. Oprah Winfrey is the only black woman on the Forbes list of the 400 richest people in America. Oprah’s Angel Network has raised more than $50 million for charitable programs, including girls’ education in South Africa and relief to the victims of Hurricane Katrina. Winfrey is also a dedicated activist for children’s rights. Winfrey now has a lifestyle that she could only have dreamed of during her traumatic childhood. Oprah Winfrey is one very popular role model for many ladies and women all over the world. Michelle Obama, born January 17, 1964 is an American lawyer and writer who served as the First Lady of the United States from 2009-2017. She is married to the 44th U.S. President, Barack Obama, and was the first African-American First-Lady. She is a graduate of Princeton University and Harvard Law School. Her father suffered from multiple sclerosis which had a profound emotional effect on her as she was growing up. She was determined to stay out of trouble and be a good student, which was what her father wanted her. Her father eventually died from complications from his illness in March 1991. She would later say that although he was the “hole in my heart” and “loss in my scar”, the memory of her father has motivated her each day since. She recalled being fearful of how others would perceive her, but disregarded any negativity around her and used it “to fuel me, to keep me going.” She recalled experiencing gender discrimination growing up, saying, for example, that rather than asking her for her opinion on a given subject, people commonly tended to ask what her older brother thought. In May 2014, Michelle Obama joined the campaign to bring back school girls who had been kidnapped in Nigeria. The first lady tweeted a picture of herself holding a poster with the #bringbackourgirls campaign hashtag. In May 2006, Essence listed her among “25 of the World’s most Inspiring Women’. In July 2007, Vanity Fair listed her among “10 of the world’s Best Dressed People.” She also appeared on the 2008 People list of best-dressed women and was praised by the magazine for her “classic and confident” look. Michelle Obama has been praised for her sense of style, discipline and decorum. A role model and inspiration to millions of girls around the world, Michelle too had to jostle with discrimination – both racial and gender, while making her way up the world. She learned early on that she had an immense precipice to conquer. But she always believed she had the wherewithal to push herself through the tough times. 'Education Is the Key to the future.' It was the reason why in 2015, she launched the ‘Let Girls Learn’ Initiative, through which she encouraged Americans to pursue higher education after high school and earn their identity and confidence through higher education. Serena Williams, born September 26, 1981 is an American professional tennis player. The Women’s Tennis Association (WTA) ranked her world no. 1 in singles on eight separate occasions between 2002 and 2017. She reached the no. 1 ranking for the first time on July 8, 2002. Serena Williams has won 72 career single titles, 23 doubles titles, and two mixed doubles titles. This includes 39 Grand Slam titles, of which 23 are single titles, 14 doubles titles and two mixed doubles titles. Apart from that, she is a four-time Olympic gold medalist and has won more career prize money than any other female athlete. She has been in and out of surgeries, including an emergency treatment regarding a blood clot in her lungs. In august 2003, Serena underwent knee surgery, and in September her half-sister Yetunde Price was murdered in Los Angeles, California. She had also stumbled badly at the 2012 French Open, enduring a first-round loss for the first time at a major tournament. But she was back in top form in July 2012, defeating 23-year-old Agnieszka Radwanska in an emotional three sets to claim here 5th Wimbledon title and first major championship in two years. After winning her 23rd Grand Slam title at Australian Open, in June 2017 Forbes magazine put Serena Williams’ net worth at $27 million. Her career $84 million in prize winnings is almost $50 million in prize winnings is almost $50 million more than any other women’s tennis player. In 2002, People Magazine selected her as one of its 25 Most Intriguing People. Essence magazine later called her one of the country’s 50 Most Inspiring African Americas. Post Tag: Why Every Girl Should Have Female Role Model.